 Deliver big bugs, poppers, and other wind-resistant flies with confidence.  Compact head and short front taper turns over the big stuff with ease.  Drive flies into tight, heavy cover where large bass lurk.  Cast into the wind with less effort. 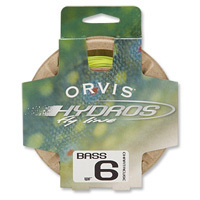  Works great with heavy nymph rigs at short to medium distances.